A Health Savings Account (HSA) is a consumer‐oriented, tax‐advantaged savings account that is always combined with a high deductible health plan (HDHP). It is similar to an Individual Retirement Account (IRA), which provides financial control over how you spend your health care dollars and can be used to pay for your out‐of‐pocket medical expenses. HSA earnings grow tax‐deferred and qualified withdrawals are tax‐free without “use it or lose it” provisions. Money not used in your Health Savings Account can be rolled over to the following year. 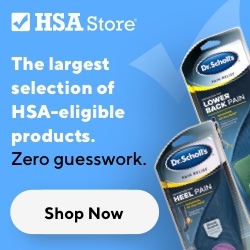 HSA funds can be used for all qualified medical expenses, including medical services, as well as eye glasses, dental procedures and prescription drugs. HSAs enable you to pay for current health expenses and save for future qualified medical and retiree health expenses on a tax‐free basis. You must be covered by a High Deductible Health Plan (HDHP) to be qualified to open a HSA. An HDHP generally costs less than what traditional health care coverage costs, so the money that you save on insurance premiums can be put into the Health Savings Account. You own and control the money in your HSA. Decisions on how to spend the money are made by you without relying on a third party or a health insurer. You will also decide what types of investments to make with the money in the account in order to make it grow. The 2018 annual HSA contribution limits are $3,450 for self‐only coverage and $6,900 for family coverage.